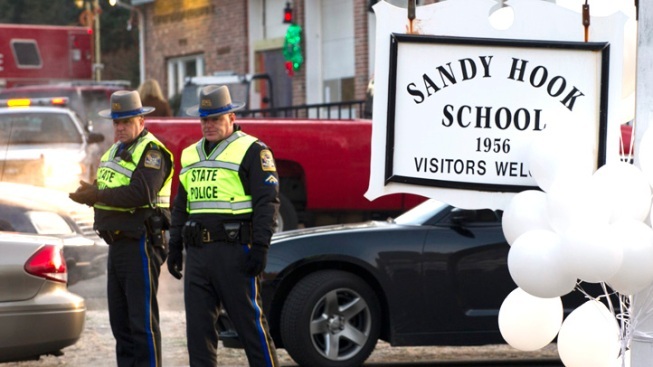 The tragic shooting at Sandy Hook School on Dec. 14 has schools across the country reconsidering their security measures. The tragedy at Sandy Hook elementary will stand as one of those before-and-after days in America -- things will never be the same at schools across Connecticut and beyond. "This was like our 9/11 for school teachers," Richard Cantlupe, an American history teacher at Westglades Middle School in Parkland, Fla., told the Associated Press. Officials across the country are taking measures to make students and parents feel as safe as possible. From Los Angeles to Newtown, school districts heightened security this week -- placing police officers outside schools and reviewing security procedures. But some schools are also looking at long-term solutions to beef up security -- drastic changes that would revamp school security as we know it, much like airport security was revamped after 9/11. Sandy Hook could make getting into a public school far more difficult. Mike Dorn of Safe Havens International, a non-profit campus safety center, has been working in school safety for three decades. He sees controlling access as the chief way in which schools can ensure their students' safety. Now he thinks administrators will be able to implement changes that would have been impossible a week ago. Dorn is a proponent of a high-tech system called Security Alert for Education (SAFE). With this system, teachers wear a pendant that amplifies their voice during lectures -- but also has a panic button button that allows them to immediately alert 911 during an emergency. Cameras mounted in classrooms are integrated into the system, as well. Scot Trower, superintendent of the Ryal School in Ryal, Okla., "out in the middle of nowhere," had the SAFE System installed in 2010. An encounter a decade ago with a man with a gun in his back pocket demanding to pick up a student played into Trower's decision to implement SAFE. Just last week, there was an incident at Ryal that required him to put the school on lockdown. "We didn't have to use (the SAFE System), but it sure made everybody feel a lot better that they had it," said Trower, who has begun the process of having better access control installed at his school. He's also scheduled a meeting for early January to review his school's emergency response system. Better access control won't keep everyone out. In Newtown, the front door of Sandy Hook Elementary was locked, per school policy -- but shooter Adam Lanza forced his way into the school, according to officials. For instances like that, Trower is also prepared to take a controversial step: Carrying a gun to school. Since the Sandy Hook massacre, lawmakers in several states have discussed legislation to allow teachers at staff members to carry concealed weapons, including Oklahoma. "If that law passes, and my school board is in favor of it, and they adopt that policy… It's my first priority, to protect those children, and I'll do whatever I have to do," Trower said. "And if the law gives me the ability to do that, I will absolutely take advantage of that to protect my kids." In Harrold, Texas, where the remote location makes teachers de facto first responders, they've been carrying guns since 2008. "Many people can learn how to effectively and safely guard others with firearms," Harrold, Texas Superintendent David Thweatt told KNBC. While Dorn clearly feels keeping schools secure is a priority, he also urges people to maintain some perspective. He points out that even in the wake of Sandy Hook, on average there are more school deaths from lightning strikes than mass murderers. "It's important to note that we've reduced the numbers dramatically since the 1970s, so we've already seen a reduction," Dorn said. "I think we could cut the (school) homicide rate in half. There are a lot of children who have not died because of Columbine." Similarly, Dorn believes that Sandy Hook will renew the country's commitment to school safety. But whatever security solutions schools settle on, Dorn stressed that they must move forward with a clear head and proper training. "We just hope schools move thoughtfully when they do this, because there's a lot of great equipment out there, but it has to be complimented by heightened staff awareness," said Dorn. Though Trower is a proponent of carry/conceal, SAFE System and access control, he says the best way to prevent tragedies like Sandy Hook from happening is to talk to the kids. A report done by the Secret Service in response to the Columbine shooting revealed that a surprising number of shooters shared their plans with classmates. "If our kids don’t feel comfortable communicating to the teachers and have those kinds of relationships ... that's what can avert these kinds of things," said Trower. "My basic philosophy of education is, if a kid doesn’t feel safe coming to school, or if a kid doesn’t like coming to school… they're not going to learn," Trower said. "Right now, across this country, there's a lot of school going on where kids are sitting in fear... We have to be proactive to keep these things from affecting us."